Introhive has raised US$15.2 million (C$20.2 million) in equity and debt financing and signalled that it hopes next year to become the first Atlantic Canadian tech company to raise $50 million in venture capital. Based in Washington, D.C., and Fredericton, Introhive produces “relationship intelligence” software that helps enterprise clients and others improve the efficiency of their customer relationship, or CRM, systems. The company was founded in 2012 by Jody Glidden and Stewart Walchli, who are based in Washington, and it has a large development team in Fredericton. The Globe and Mail reported Monday that Introhive raised a funding round of US$15.2 million, led by Toronto-based venture capital firm Lake Bridge Capital. The funding included a loan from Espresso Capital, which the Globe said was worth less than 20 percent of the total, meaning the equity portion of the round could be worth as much as C$16.2 million. In an email, Glidden confirmed the details of the Globe article. 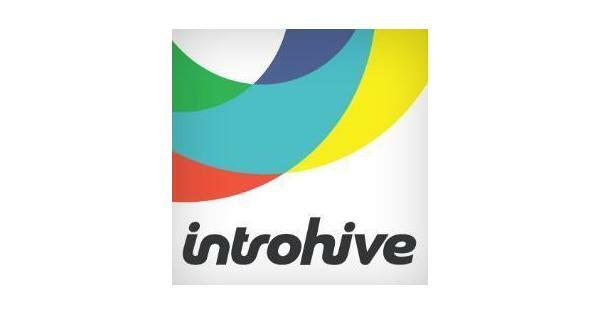 Introhive has previously raised money from such investors as Salesforce.com (whose CRM products are among those that can use Introhive’s software), Halifax-based Build Capital, and Fredericton-based New Brunswick Innovation Foundation. “We are thrilled that the team has closed this round and brought Lake Bridge on as a partner,” said Build Ventures Partner Patrick Keefe in an email. “It leaves them well capitalized and positioned to accelerate their growth." Introhive solves a problem experienced by many – possibly all – large organizations: their contacts and clients change companies or move to new cities and so contact lists are often out of date. Introhive solves that problem by constantly monitoring emails, calendars and social media, making it easier to update contact lists. The Globe and Mail said the company, which now has 105 employees and is on track to book $10 million in annualized revenue by year-end, has such blue-chip clients as Ernst and Young, Grant Thornton, National Bank of Canada and more than 100,000 individual users. Walchli and Glidden previously founded enterprise application developer Chalk Media, which they sold to BlackBerry in 2009. Now they have told the Globe that they are hoping to raise as much as US$50 million from venture capital investors by next spring. The Introhive funding lends additional weight to the growing story of a boom in funding in the region. With 10 days left in the first half, it appears that Atlantic Canadian companies will have raised about $35 million to $40 million in VC funding in the second quarter, with about $30 million of that raised by New Brunswick companies. That follows a strong first quarter, in which $47 million was raised by Atlantic Canadian companies. Part of the Lake Bridge Capital investment was used to buy out the shares held by GrowthWorks Atlantic, which invested $1 million in the company in 2012. GrowthWorks Atlantic has not made new investments nor raised money since the federal government changed the rules on labour-backed investment funds three years ago, and has been winding down its portfolio.